Anastasia Figuera/Contributing Photographer The Binghamton Pride Coalition will host a “Toy for Tots” fundraising event at Squiggy’s Bar this Saturday at 34 Chenango St. Since its establishment in 2005, the Binghamton Pride Coalition has used its platform as a leading LGBTQ group in the greater Binghamton area to promote the acceptance of all sexualities and genders. With its upcoming 17th annual “Toys for Tots Drag Show & Holiday Party,” the coalition expands its community outreach into fundraising for underprivileged children. The event will be hosted at Squiggy’s Bar on Chenango Street. 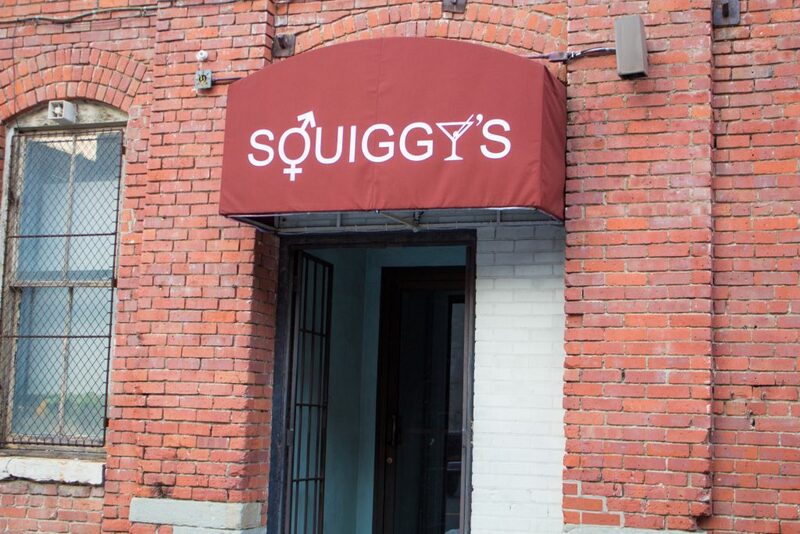 Squiggy’s is the only LGBTQ bar still open in the Binghamton area and it serves as the spot for several LGBTQ-related events, including an “After PRIDE Rainbow Dance Party,” to be held in June. The Toys for Tots event has carried on for 17 years but originally began as the idea of Binghamton LGBTQ bar owner Doug Guiles. Guiles owned another Binghamton-based LGBTQ bar, Prism, and was a huge part of the LGBTQ community, but was murdered in 2004 inside his own establishment. The night will begin with a drag show hosted by Kupps and Mistress Katrina, another local queen. There will be many performers, including Kupps and Katrina themselves and a number of live musicians. Following the performances, a holiday party will take place in Squiggy’s bar where both food and drinks will be served. According to Chris Waters, the director of the Binghamton Pride Coalition, both Kupps and Katrina are extremely involved in the local LGBTQ community and have contributed in numerous ways aside from hosting this event. The event is centered around fundraising for underprivileged kids, so the cover charge is either $5 or an unwrapped toy at the door. While the night is filled with fun and entertainment, the organizers make it clear that there is a larger purpose being served behind everything. The Binghamton Pride Coalition’s mission statement on their Facebook page is the commitment to “ending oppression based upon sexuality and gender,” but according to Waters, there is a clear dedication to working in other areas of the community as well. The event will take place on Saturday, Dec. 8 at Squiggy’s Bar located at 34 Chenango St. The doors will open at 8 p.m., the drag show will begin at 9 p.m. and the holiday party will follow afterward. An 18+ ID must be presented at the door.